The Eastern Conference for Workplace Democracy Goes South! For the first time since its inception in 2002, the Eastern Conference for Workplace Democracy (ECWD) will be held in the South. The 2007 regional conference will be co-hosted by the Federation of Southern Co-ops/Land Assistance Fund (FSC/LAF) and the Southern Appalachian Center for Cooperative Ownership (SACCO). Conference planners are delighted to bring the message of worker cooperation and business ownership to the South where credit unions and producer co-ops are prominent in rural areas. Planners are also pleased to be holding the conference in Asheville, North Carolina, a destination city known for its arts scene, lush greenery, and nearby hiking trails in the Blue Ridge Mountains. The conference takes place Friday through Sunday, July 20th-22nd. Many worker-owners with skills to impart and stories to tell will be in attendance. In addition, technical assistance providers, scholars, people interested in learning more about worker cooperatives, and leaders in the field will attend. This summer, the keynote speaker will be Mr. Lynn Williams, former President of United Steelworkers of America. Under Mr. Williams' leadership, the Steelworkers became pioneers of union-led buyouts of enterprises, moving to the forefront among American unions using employee ownership to retain jobs and negotiate innovative participatory bargaining agreements. 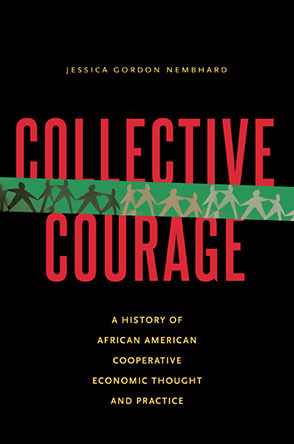 Additional leaders in the fields of worker cooperation and community organizing at the conference include Frank Adams, co-author of the book Putting Democracy to Work: A Practical Guide for Starting and Managing Worker-Owned Businesses; Gus Newport, former mayor of Berkeley, California, and current organizer on behalf of Vanguard Foundation in New Orleans; Pam McMichael, executive director of Highland Center; and others. In addition to plenty of time to network and get out on the town, up to thirty workshops on topics related to worker cooperatives will be offered at the conference, starting Friday afternoon and running through Sunday noon. Workshops will focus on how to create worker cooperatives, how to manage worker cooperatives, and building the economic democracy movement. Space for spontaneous meetings and workshops that arise during the conference will be provided. Two worker cooperatives in the South have been involved with ECWD or the U. S. Federation of Worker Co-ops conferences in the past. Little Grill Collective in Harrisonburg, Virginia, has served their local community since the 1940s, and has been worker owned since 2003. They offer a variety of delicious and healthy home cooked meals with vegan, vegetarian, and meat options, along with live music. A carload or two of Little Grillers came up to ECWD in Manchester, New Hampshire, in 2005-one of those seminal life experiences! Cyberspace Central Computer Consultants (C4) in St. James, Louisiana, is a group of experienced computer professionals who have pooled their efforts to offer comprehensive and affordable computer and design services to businesses, nonprofits, and home users in the greater New Orleans area. They create backup schemes to protect data, build custom PCs, troubleshoot and repair computer problems, facilitate upgrades and networks, offer training, and do graphic and web design. They strive to keep abreast of the latest technology and, as their website says, they aren't just computer geeks--they're even "fluent in human!" In addition, a couple of worker co-ops new to the regional and national conferences have been encouraged to join us in Asheville. I Am Unique Special Care and Case Management in Raleigh, North Carolina, was established in 1994 as the first nursing agency cooperative in the U.S. The agency provides comprehensive, quality, client-centered, and family-centered care in the client's place of residence, encouraging clients to collaborate actively with agency staff and other health care providers to clarify their health situations and services needed. The agency also provides home care education to nurses, clients, families, and the larger community. Common Ground Collective in New Orleans, Louisiana, and beyond provides short term relief for victims of hurricane disasters in the gulf coast region and long term support in rebuilding the communities affected in the New Orleans area. It was established in the first week after Hurricane Katrina, opening a medical clinic and providing immediate assistance such as food, water, and supplies to thousands of low-income residents unable to evacuate. The group started with three volunteers and fifty dollars, and has grown to over forty full-time organizers and hundreds of volunteers including health care workers, community organizers, skilled laborers, techies, legal and housing rights advocates, gardeners, and more. Common Ground has produced a promotional video called "Solidarity Not Charity." In addition, worker co-ops further north in the eastern region that regularly provide support to ECWD, will attend. They include ChromaTechnology Corp., a producer of optical filters and filter sets in Rockingham, Vermont, and Fuerstenfeldbruck, Germany; Equal Exchange, a fair trade coffee roaster and distributor (and more!) in West Bridgewater, Massachusetts; Collective Copies, a printing collective in Florence, Amherst, and Belchertown, Massachusetts; South Mountain Company, a housing design/build firm in West Tisbury, Massachusetts; Red Sun Press, a graphic design and printing company in Jamaica Plain, Massachusetts; Long Island Home Enterprise, a housing construction company in Medford, New York; Community Builders Cooperative, a provider of building renovations, custom cabinetry, design, and consulting in Somerville, Massachusetts; and Gaia Host Collective, an internet hosting firm in Shutesbury, Massachusetts; among many, many others. For additional information and conference registration, visit the ECWD website at www.east.usworker.coop. If you have questions, contact Lead Organizer Mary Hoyer.